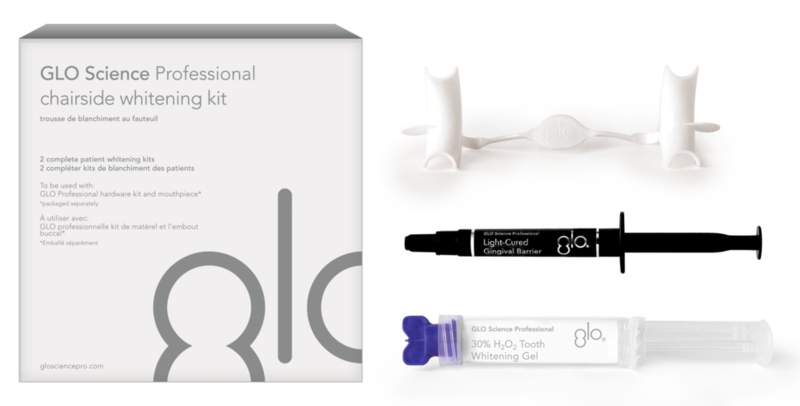 GLO DUAL WHITENING GLO professional whitening in the practice plus patient take-home kits Fast appointments. Superior results. High compliance. No lab fees. No trays. Little to no sensitivity. Clinically proven. For the best whitening experience – GLO! THE SCIENCE Patented GLO technology combines optimal heat and light in a closed system mouthpiece to activate and accelerate the whitening gel formulation for safe, superior results with little to no sensitivity. Healthy patients GLO! GLO Science believes in the life changing power of a beautiful, healthy smile and therefore they seek to bring innovative advances in oral health care to dental offices and homes across the country, and around the world. J&L Dental is excited to bring this amazing whitening product to our customers. To learn more click the button below or speak with your J&L Account Manager about getting an in-office demo scheduled today! Please tell us a little about what information we can provide you. Thank you one of our team members will get back to you shortly! Newer PostFinally! Dry Mouth Relief That Lasts!